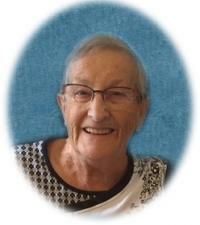 The family of Léone Dupont of St. Albert, our beloved mother, grandmother and great grandmother passed away with her daughter’s by her side on January 13, 2018 at the age of 83 years. She is survived by her loving family; daughters: Françoise (Doug) and Catherine (Larry); grandchildren: Veronica (Irfan), and Shaun; great grandson, Jaxon; as well as numerous relatives and friends. Léone and Claude were married in 1955 and shortly thereafter emigrated from France for the adventure of their lives.